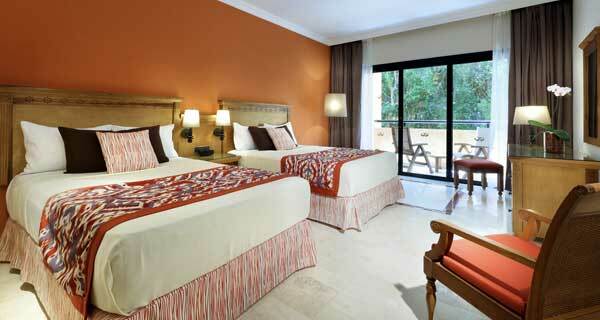 The Grand Palladium Colonial Resort and Spa is a 5 star Luxury hotel located in the Palladium Riviera Maya Complex. 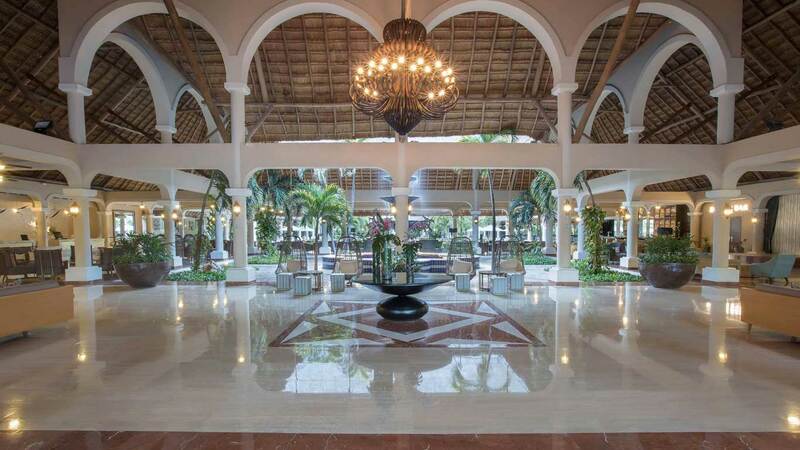 Grand Palladium Colonial Resort and Spa is located in the central part of the Complex, next to the extensive private beach, near the spa and next to the multisport centre. The Grand Palladium Colonial Resort and Spa gets its name from its detailed decoration in the Spanish colonial style and it is fully integrated in the green surroundings of the eco-resort: green paths that lead you to any part of the complex, to the beach or simply take you for a walk among the fauna and flora typical of the Riviera Maya where there is always something new to discover. This environment, together with the different types of modern, spacious rooms, makes the Grand Palladium Colonial Resort and Spa a hotel to be enjoyed as a couple, with family or with friends. 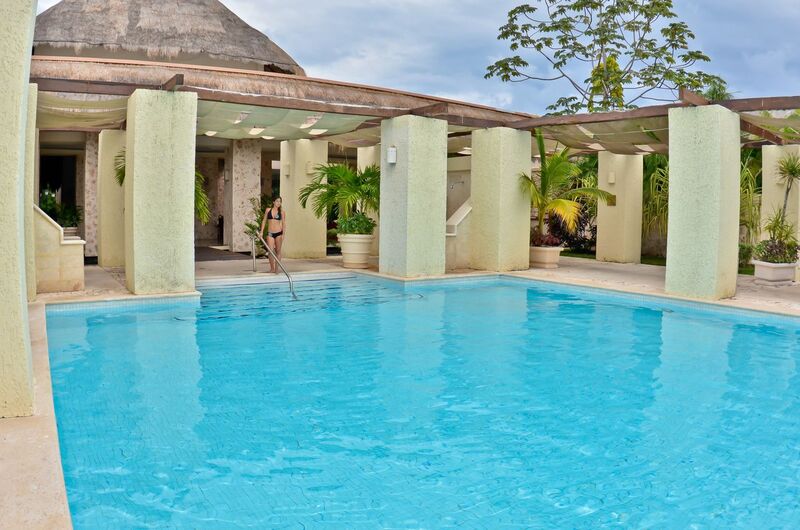 The Grand Palladium Colonial Resort and Spa therefore has a wide range of services on offer for all types of travellers. As well as having access to all facilities on offer for guests who are staying in any of the Grand Palladium hotels in the Complex, all connected via a free internal train service, guests who stay at the Palladium Colonial Resort & Spa have the adult swimming pool, the sports centre, the main pool close to the beach, and the bars like the Hemingway that includes international “Premium” Beverages and restaurants very close to their room, amongst other services and activities. Therefore, the Grand Palladium Colonial Resort and Spa Hotel is one of the reference hotels in the Riviera Maya, due to its service, gastronomy, spa, sports facilities and, generally, any service that our guests may require when it comes to enjoying their holiday in this marvellous spot located in Akumal, one of the best areas in the Riviera Maya, just between Playa del Carmen and Tulum. Free basic Wi-Fi access throughout the entire complex after registering in Palladium Hotel Group’s network. Premium Wi-Fi access available at extra cost. Zimmerservice von 11:00 bis 23:00 Uhr. Baby Club for children 1-3 years old, Mini Club “El Ranchito” for kids 4-12 years old and Black & White Junior’s Club for teenagers (13-19 years old). *We would like to remind you that, according to national tobacco laws, smoking is not allowed in hotel rooms and in the lobby. If caught smoking, you will be charged $250 USD for room cleaning and preparation. All 414 rooms at Grand Palladium Colonial Resort and Spa feature thoughtful touches like free minibar items and pillow menus, plus free WiFi and plasma TVs with cable channels. Other amenities available to guests include furnished balconies, iPod docks, and private yards. 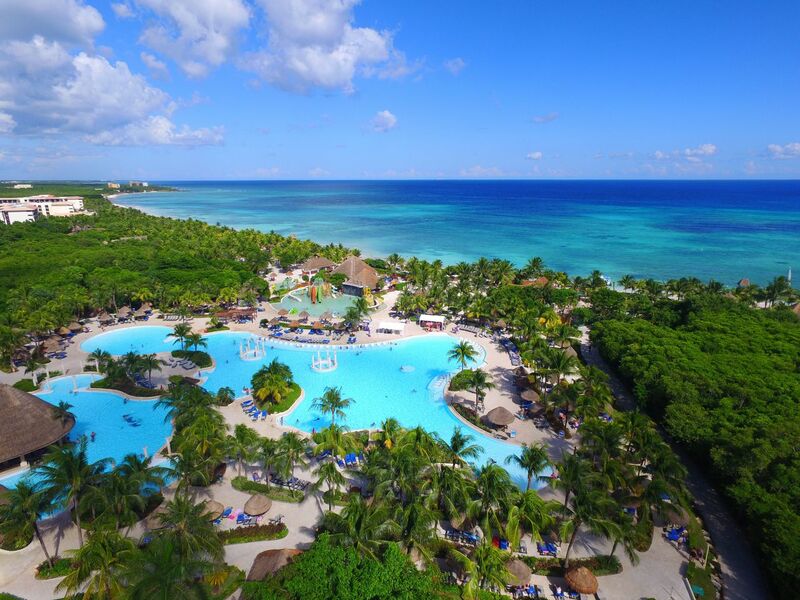 The Grand Palladium Resorts at the Mayan Riviera offer a daily program of sports and entertainment activities on the beach and at the pool for everybody. Practice your favorite sport with your family during the day: volleyball, archery, soccer, paddle…and don’t miss the shows, live music and games our entertainers organize every night at the theater. There are also PlayStation, pool, table tennis, sand castle, treasure hunt and karaoke tournaments. Guests from all ages always find the best way to have fun at the Grand Palladium Resorts: Spa and the Sunset Boulevard Discotheque for adults, and videogames, arts and crafts and the Mini-disco for kids. And for nature lovers, we also have a crocodile habitat with an exhibition of their feeding. At the Palladium Hotels & Resorts, we believe in quality and variety. 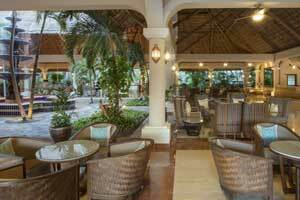 Thanks to our All-Inclusive Program, the Grand Palladium Colonial Resort & Spa offers a large selection of exquisite cuisinesas well as national and international premium drinks. Enjoy a relaxing day in our Spa & Wellness Center**, or have fun with any of our activities and shows. All-Inclusive, Palladium style! 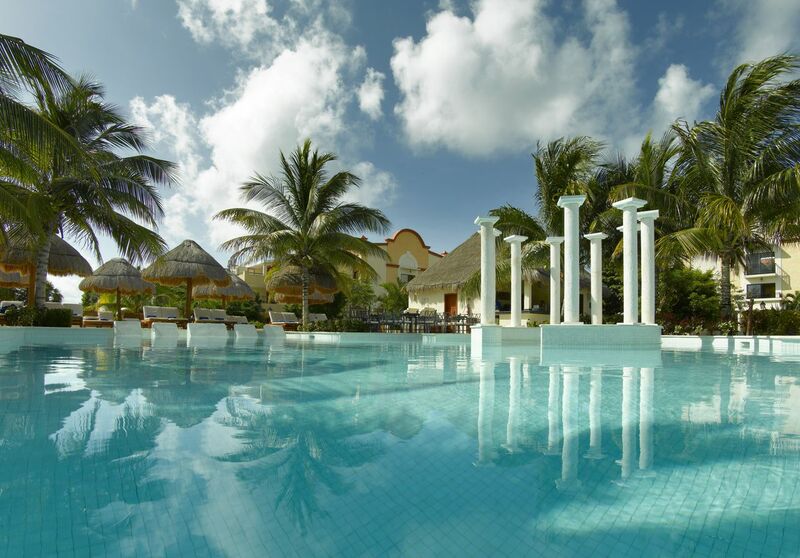 Guest can use any of the facilities located at our complex, except those located at The Royal Suites Yucatán by Palladium. ** Access to the hydrotherapy areas (hot tubs, pool, sauna and steam baths) in our Zentropia Palladium Spa & Wellness centers will have a $10USD fee per guest, per day for Grand Palladium´s guests.Our Royal Suites guests and Palladium Travel Club members have their entrance included in their stay. Also there will be offers and special attentions towards our guests. Also, guests who purchase any of our spa treatments at Zentropia Palladium Spa & Wellness will be given free access to our hydrotherapy areas that day. 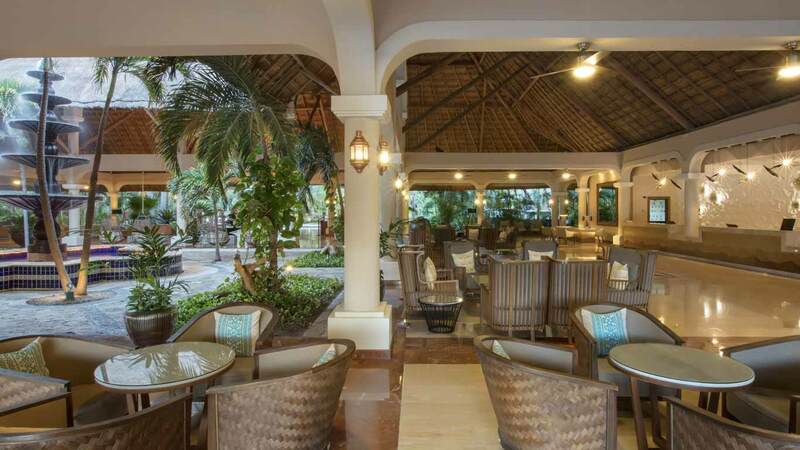 The Riviera Maya's Grand Palladium Colonial Resort & Spa offers the highest quality room service included in your stay. Enjoy the intimacy, comfort and exclusivity of our extensive selection, between 11 am and 11 pm. Our room service includes starters, main dishes and desserts for all tastes. Salads, sandwiches and wraps are a great option as starters or for a lighter bite. Quesadillas, hamburgers, pizza and pasta are some of our main dishes. Give in to your sweet tooth with desserts such as fruit, brownies or crème caramel. Palladium Premium provides a final elegant touch with gourmet recommendations, wines and cigars at an additional charge. 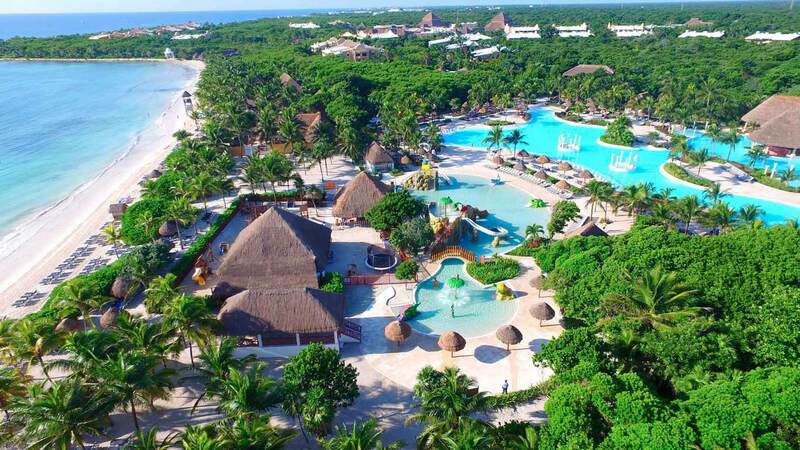 The Grand Palladium Colonial Resort & Spa offers a daily program of sports and entertainment activities on the beach and at the pool for everybody. Practice your favorite sport with your family during the day: volleyball, archery, soccer, paddle…and don’t miss the shows, live music and games our entertainers organize every night at the theater. There are also PlayStation, pool, table tennis, sand castle, treasure hunt and karaoke tournaments. Guests from all ages always find the best way to have fun at the Grand Palladium Resorts: Spa and the Sunset Boulevard Discotheque for adults, and videogames, arts and crafts and the Mini-disco for kids. And for nature lovers, we also have a crocodile habitat with an exhibition of their feeding. Children under 18 are not allowed in the discotheque. 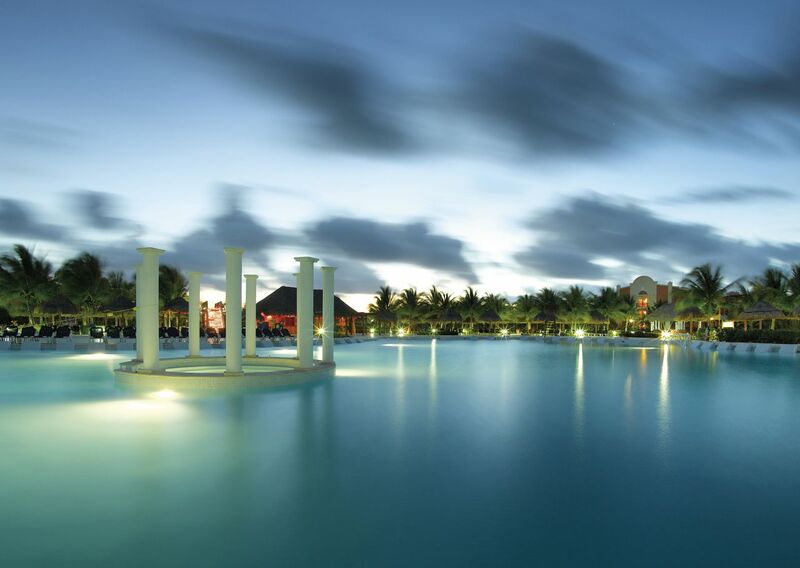 Guests enjoy free access to all services offered at the four Grand Palladium Resorts in the Mayan Riviera, except those located at The Royal Suites Yucatán by Palladium. The hotel is not liable for services provided by third parties. 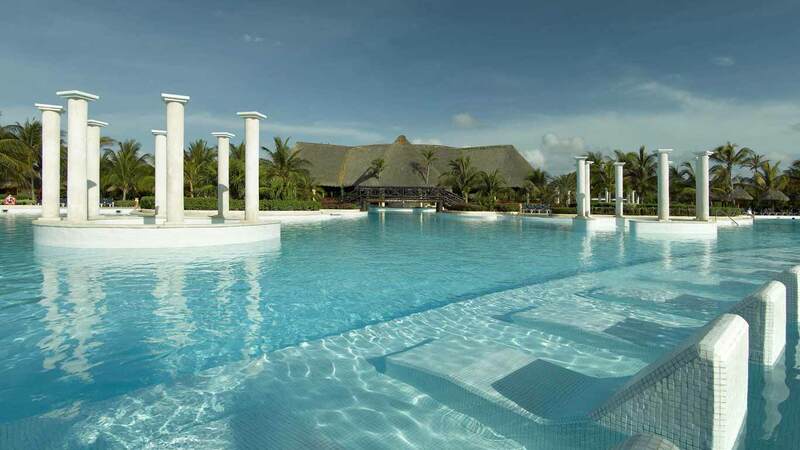 A complete, daily program of sports activities and entertainment on the beach and at the pool. Activities and games at main pools and on the beach. Palapas for shade, beach loungers/sunbeds and towel service. Lifeguards: 9:00 am - 6:00 pm (according to schedule of summer-winter). 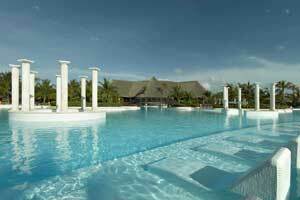 Scenic pontoon boat with rides around the resort complex and the extensive lake located at the Grand Palladium White Sand Resort & Spa and the Grand Palladium Riviera Resort & Spa. Children’s animation throughout the day and shows and/or mini-disco at night. Shows and games every night in the theatres located at the Grand Palladium Colonial Grand Resort & Spa and Grand Palladium Riviera Grand Resort & Spa. Sunset Boulevard Discotheque at the Grand Palladium Riviera Resort & Spa, air conditioned, from 11:00 pm – 2:00 am. Children under 18 years old are not allowed. 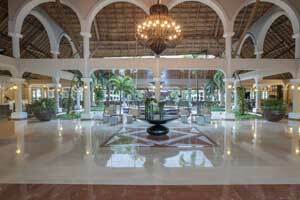 Live music at the Grand Palladium Colonial Resort & Spa and the various lobbies. Some of the entertainment activities include: salsa and merengue classes, Olympics on the beach, Spanish lessons, “gregorio gregorito” game, quizzes, beach ball, PlayStation, pool, mini golf, ping-pong, basketball and tennis tournaments, sand castle competition, treasure hunt, horse shoes, Mexican games, beer drinking contest, kayak race, frisbee games and karaoke. 7 Freshwater Pools. Free umbrella, sunbeds, shower and towel service. 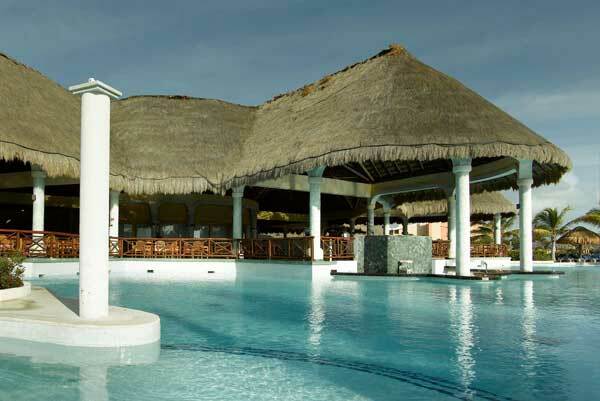 The Grand Palladium Kantenah Resort & Spa features one of the most complete Spa & Wellness centers in the Mayan Riviera. In addition to offering exclusive and personalized services, the Zentropía Palladium Spa & Wellness also features an ample gymnasium with modern exercise equipment, jacuzzi, sauna and vapor baths that will fly you to a haven of tranquility and pleasure. Pamper yourself with a luxurious massage or choose amongst a great variety of beauty treatments (additional costs and previous reservation required). 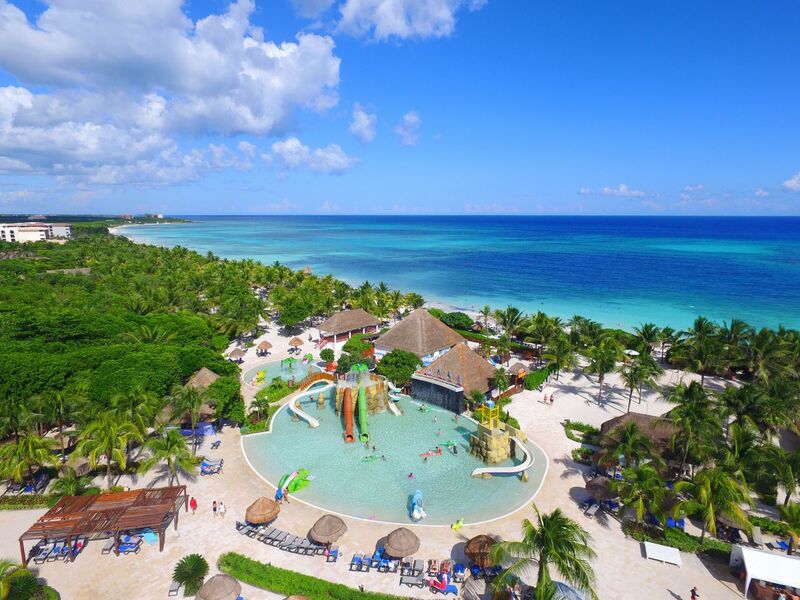 One of the many services that parents will be glad of, thanks to the security offered, are the children's clubs that they will find in the Grand Palladium Resorts in Riviera Maya. Especially designed for little ones, these facilities offer a fun environment for children to make new friends, always under the supervision of a group of expert professionals. We also have a varied programme of fun activities throughout the day and special shows in the evening. 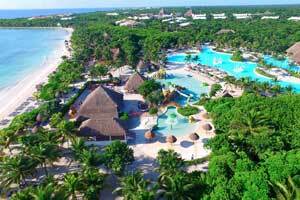 The luxurious, all-inclusive Grand Palladium Riviera Maya Resort & Spa, located on the private Kantenah beach is a heaven for families. Enjoy exclusive facilities and activities, designed and planned so that everyone in the family can enjoy their vacation. The Raggs characters invite families here for a very special Palladium entertainment experience, where children come first. Play at Palladium with Raggs is an amazing program where the colorful, canine puppies entertain guests all throughout the resort. Whether they are singing by the pool, dancing in the lobbies, posing for photos at the beach or reading stories at the Mini-Club, fun is guaranteed. Upon arrival little guests receive a surprise kit with color pencils, a backpack, a hat and a shirt. They can color their backpack with fabric paint to create their very own personalized souvenir. Open from 9:00 AM to 8:00 PM. Located next to reception in the Grand Palladium Punta Cana Resort & Spa, the new Castillo del Pirata reflects a colonial fort type theme that has become a delight for little ones. It has an outdoor area of 950 m2 with a lawn-covered patio surrounded by beautiful gardens. Children can enjoy their own pool with mini water park, as well as the lounges with electronic games, a theatre and a small dining room. And for them to take a rest between games, it also has a dormitory. From the arts and crafts room to the video games and volleyball, the Ranchito Mini Club has outdoor and indoor facilities so that children aged between 4 and 12 years can also enjoy their holidays in a magical setting. For those who want to learn, we offer an eco tour of the Resort to find out about the culture, flora and fauna of the area. Teenagers tend to have very specific tastes and are also very demanding. 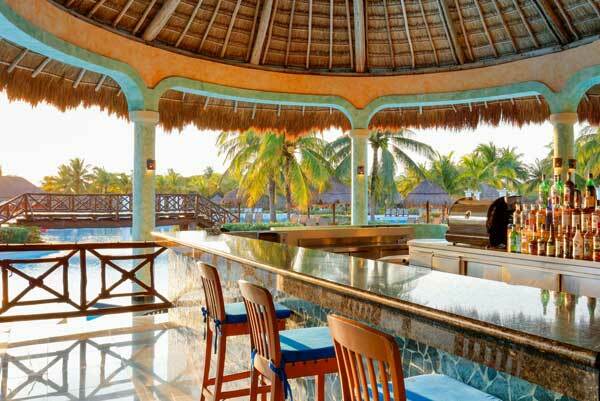 This is why our Grand Palladium Resorts in Riviera Maya have an exclusive club just for teenagers aged between 13 and 19 years. Here they will find a video games lounge, pool tables, table football and even a disco twice a week!